The most precious fruit of all spiritual paths in every religious tradition is the realisation of the undivided nature of absolute awareness. When such understanding reaches full maturity, it can lead to a non-dual wholeness beyond birth and death that transcends our usual dualistic world experience completely. Essentially we are absolute Being already - therefore we cannot become it, reach it or lose it. But we can become still and be aware of it and remain within it. When we are still right now in this very moment, consciousness opens up quite naturally, and seems to be more present than usual. In this natural shift our centre has shown itself a little more. We could call this a 'moment of practice' and its depth and quality depends on our state of mind, while its clarity and lucidity will improve with experience. In this way our individual consciousness can be permeated by this deep awareness and slowly become transformed by It. who need of vision hath. Direct experience of this absolute Being is the source of all spiritual traditions. Experience of the Absolute inspires a way of expression that is fresh and original in the full meaning of those words. Filled with power and joy, with wisdom and beauty, the wise spontaneously embody the liberating qualities of this insight into our true nature. Repeatedly these exemplars of Truth were attacked and persecuted by the traditional religions that were afraid of their predominance. Jesus himself as well as many others throughout the centuries have had to pay with their lives for standing up for their convictions. And there were martyrs in the Islamic tradition as well, of whom Al Halladsh is one of the best known. 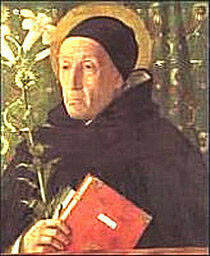 Besides many other witnesses to Truth, Christianity offers the testimony of Meister Eckhart, the term ‘Meister’ being equivalent to the title of Professor or Master. Through his own inner experience Meister Eckhart was able to express the wisdom of traditional mystics like Plato, Plotinus and others in a clearer form. And by means of his inner maturity, he was able to translate the mystical tradition in an uplifting manner, which provided a positive foundation for the German language. When I read these quotations in Josef Quint's Meister Eckhart, Deutsche Predigten und Traktate almost forty years ago, I realised I was in the presence of a truly great mystic and bought this book without hesitation. My inner receptivity had been awakened following a six-month retreat and I experienced the words like beautiful music or a poem. Inner knowledge is already within everyone and heartfelt expressions like these can resonate with us immediately. Sri Ramana Maharshi was one of the most universal of saints to have taught during the last century. He lived in South India from 1879 to 1950 and. his message was so much in tune with his everyday life that even wild animals felt his power of peace and sought to remain close to him. His silent, living presence was so eloquent that human visitors sometimes forgot their questions when sitting in his company. Because he uninterruptedly lived in the eternal, even the smallest everyday actions were expressions of the highest diligence, purity and love. Although he was sensitive to an extraordinary degree, responding individually to seekers (often by turning questions around so that seekers could face the root of all questions, the sense of 'I'-am directly), Ramana used to point out repeatedly that silence is the one true and eternal language that is only interrupted by talking. His way of teaching has often been called scientific. 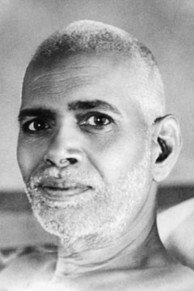 When someone approached him who had followed some kind of traditional spiritual practice, Sri Ramana would support him in his endeavour and tell him that each sadhana had the potential to lead the practitioner to concentration, purity and silence, which are prerequisites for the final goal of Self-realisation. On the other hand he never lost an opportunity to make it quite clear that everyone was bound to reach this absolute awareness in the end, for it was their natural birthright. Enquiry into one’s own, true identity behind all personal images, often by way of asking ‘who am I?’ or ‘whence am I?’ was taught as the essential practice because this can make us aware directly of the absolute Self as self-awareness. How can this false identification of the Self with the body be removed? This question itself contains the path and the goal. Usually our consciousness experiences itself only as the subject in a strained relationship towards an object. Therefore it never knows itself directly. If they check their everyday experience, most people will equate themselves with their body. What kind of experience do we know which does not presuppose a body and the personality as a functional basis? What do we really know beyond the range of our five senses to which Buddhism and Advaita adds all mental activity as a sixth sense? All true mystics agree that the Absolute can never be found within that framework. 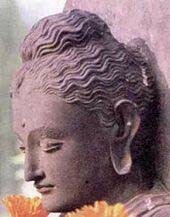 Self-enquiry according to Ramana and also according to Buddha and Christ implies discernment between the continually changing and the unchanging aspects of life. All composed objects are impermanent; work out your own liberation diligently! thy whole body shall be full of light. But if thine eye be evil, thy whole body shall be full of darkness. If therefore the light that is in thee be darkness, how great is that darkness! Only this pure, translucent quality of consciousness can experience the ‘treasure’ of the eternal life. When we earnestly devote our heart to this enquiry, 'moth' and 'rust' - those residues of impermanence - will no longer dominate us. To be single and one-pointed means to be unified within. Sri Ramana equated the life-long conditioning to identify ourselves as our body with the basic ignorance which is called ‘original sin’ within the Christian tradition. Only insight into our true absolute nature can remove this ‘veil’ of false identification. Consciousness knows itself only indirectly, as mentioned above, its experience depending on a reflection like the evil stepmother of Snow White depended on her mirror. Snow White symbolizes the soul who lived in innocence - in the non-duality of subject and object. All sadhana, as spiritual practice is called in India, is there to develop the qualifications for this insight into the wholeness of consciousness. Such practice is necessary because this insight needs a certain pure quality of discernment, which is not readily available to the ordinary mind. On the contrary, spiritual teachers use all the skilful means at their disposal to stop the thinking process. Thinking occurs in time and is therefore both dualistic and objectifiable, while the true, absolute Being is an undivided whole and cannot be experienced as an object. This is why it remains inexpressible for the mind. Let us return to the initial opening, to the first moment of practice. When we remain still without taking any particular direction and allow presence to unfold as it is right now we will have a fresh experience of a spacious and relaxed mind that is pristine and not fabricated. Can you not see that this state is original and is naturally detached from the usual network of compulsive thinking in which you are enmeshed? The quality of this stillness is fresh, alive and much clearer than any other mental state. As that experience is subtle, some traditions like the Tibetan Dzogchen recommend this natural practice without trying to grasp anything but rather allowing fresh, albeit brief, moments of insight to arise spontaneously. At first the simplicity of letting things be may deceive you but if you come to know the practice better you will marvel at its depth. Remember that Jesus gave his disciples the example of how open little children are to the wonder of life. this was an expression of an advaitic non-dual truth. God can only be experienced as Being and the mystics know that the separate personal I-sense has to ‘die’ in order that the ‘unio mystica’ - the mystic union - can be known. What is your actual experience now if you are still again for a moment? Can you experience the space around you and the quietude that remains as a constant background while everything else changes? Not only does this quietness support fluctuating sounds all around you but it also gives an intimation of the unchanging nature of Being which is at the centre of all sense-impressions but is usually not recognized as such, just as the screen of your computer goes unnoticed as existing independently from the images that appear upon it. As soon as we receive even the slightest indication of this background of quietude, our mind will expand and open up. This is definitely proof of a higher quality of mind and a sign we are on the right track in the direction of our true Home. Here the Unfathomable begins to show itself, which in its pure form contains our immortality. Sri Ramana was from then on completely established in the eternal awareness. Even deep sleep could no longer overshadow this basic consciousness and neither could the extreme pain of cancer in the last year of his life. He compared this state of effortless and natural absorption, which he called ‘sahaja samadhi’ (meaning natural Samadhi) with the shruti - the sustained basic note of Indian music upon which a melody is constructed. There are many teachers these days that offer advaitic teachings and, while some of them are of outstanding maturity (like Adyashanti, Eckhard Tolle, and Byron Katie), what was unique about Sri Ramana Maharshi was the way he lived without any break in the eternal and everything he said or did - every movement of his hand - was therefore a direct expression of this absolute freedom of the timeless within time. Animals showed spontaneous confidence in him, monkeys for instance seeking his arbitration in their quarrels. Human visitors often simply forgot their requests in the immediate power of his peaceful presence and experienced thereby a natural solution to their problems. Indian philosophy has the term ‘jivan-mukta’, to describe the completely liberated soul, also known as a jnani, who lives in the uninterrupted awareness of eternity. The word 'uninterrupted' indicates that no state - not even deep sleep or death for that matter - can again overshadow this eternal awareness as once it did in the non-enlightened states. 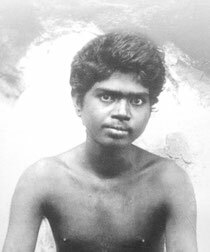 Sri Ramana took the crucifixion of Christ as metaphor for the death of the personal self and the ensuing resurrection as equivalent to liberation. to signify reality as far as his true identity is concerned. Turiya is a term which indicates the eternal as providing the basis for the three relative mental states. Mental structures are beginningless; the well-known question whether the hen or the egg was prior to the other indicates this. Also the scientific theory of the ‘big bang’ can not explain what its own cause was. All philosophy and sacred lore is inevitably limited in how helpful it proves to be. Often we seem to fail only because of the grand simplicity of Being. That is why Sri Ramana and all the great teachers wanted to awaken in seekers their natural ability to discern the ever-present Reality. Is it not a paradox that one should need a practice in order to recognise That which is always present? Indeed it is impossible to put Truth into any single category; any one-sided concept will never represent it adequately. What is Being now in our direct experience? No one can be without presence or being even for a moment. Can we notice that each instant consists of two components: both a ‘screen’ and a ‘film’? A background that is constant and elements that change? Most people live absorbed in the constantly changing events of life and their experience seems to consist of nothing else. Our mind tries to build up a sense of security and well-being by establishing regular habits in everything we do. Although there is nothing wrong with that, it will of course never be sufficient for absolute security to be found in such a way. That is why the Buddha regarded all life as fundamentally insecure and encouraged his disciples to look directly at the process of change within their own immediate experience. Buddha’s own enlightenment came purely through watching the flow of his breath, in a dynamically attentive mindfulness. Let us sit erect and close our eyes. First we can relax obvious tensions in our shoulders, abdomen and legs. Then we can feel the totality of our body. After a few minutes we can begin to sense the breath softly without influencing it voluntarily, either by hindering its flow or by forcing it. During exhalation we consciously relax the abdomen and give as much room to the breath as it needs. Each exhalation allows us to ease any tension … to be always prepared for a fresh contact with the actual experience, exactly at that point where the breath happens to be.